This gallery of over 100 images highlights the work of Blanchard Harper (1865-1925), an amateur photographer in Madison, Wisconsin, at the turn of the century. Mainly photographing in and around Dane County, Harper captured landscapes, architectural views, and scenes of the capital area and its residences between 1895-1907. Blanchard Harper was born in New York on October 10, 1865. One of three children, she was the daughter of John Fletcher Harper (1839-1865) and Mary Elizabeth “Lily” Lynde (1842-1890). 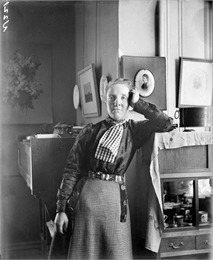 Nearly nothing is known regarding Harper’s childhood and or adult life, but in 1880, at the age of 17 Harper was living in San Francisco with her mother and stepfather. 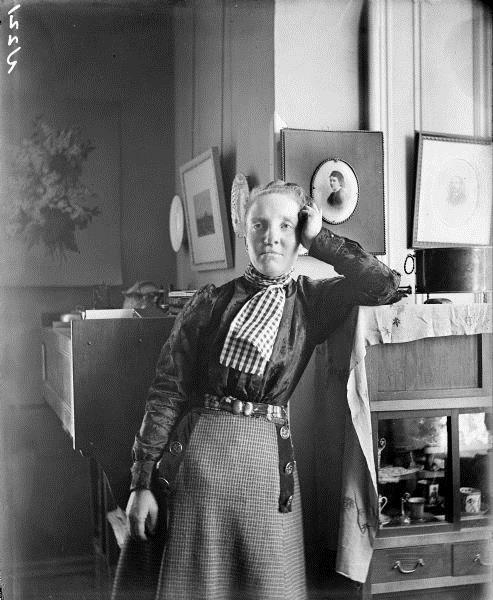 By the late 1880's Harper had made her way to Wisconsin, where she resided at the Ladies Hall on the University of Wisconsin Campus, and presumably was a student. It appears that Harper never married, but had a passion for both photography and gardening. Harper moved to 618 Mendota Court in 1892 and resided there until 1897. She then lived in various homes throughout the Madison area, before settling at 2401 Chamberlain Avenue in 1907. Harper remained in Madison until her death in 1925. 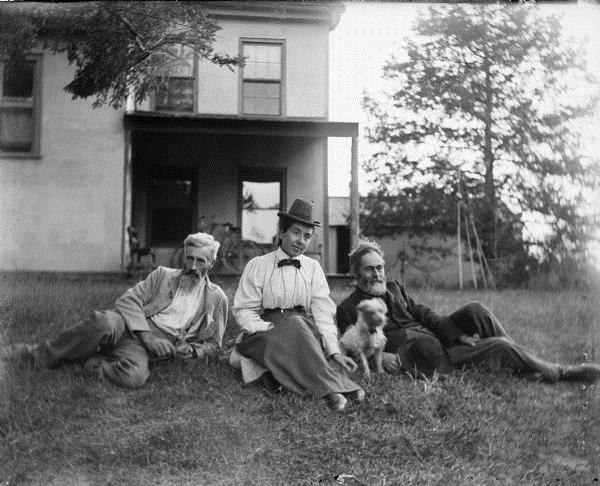 The Harper Collection consists of 414 glass plate and nitrate film negatives, 11 lantern slides, and vintage prints that she produced between 1895 and 1906. There are also 414 modern reference prints available. While the majority of the images were taken in the Madison area, some negatives highlight her travels in Europe and throughout the United States. The collection contains landscapes, architectural views, domestic interiors, portraits and copy work of documents and artifacts from the Wisconsin Historical Society. Although many of the negatives were made for Harper's enjoyment, a significant number of negatives seemed to have been commissioned by private families (Turvil-Thwaites and W.A.P Morries families), the University of Wisconsin (biology department, library, Science Hall, etc), and the Wisconsin Historical Society (artifacts, building, documents, paintings) to document the their activities and possessions. The best source for information regarding the negatives comes from the original negative envelopes, upon which Harper wrote a subject and less often a date. This information has usually been included in each photograph's online description. View the Blanchard Harper Collection. View other Image Gallery Essays.